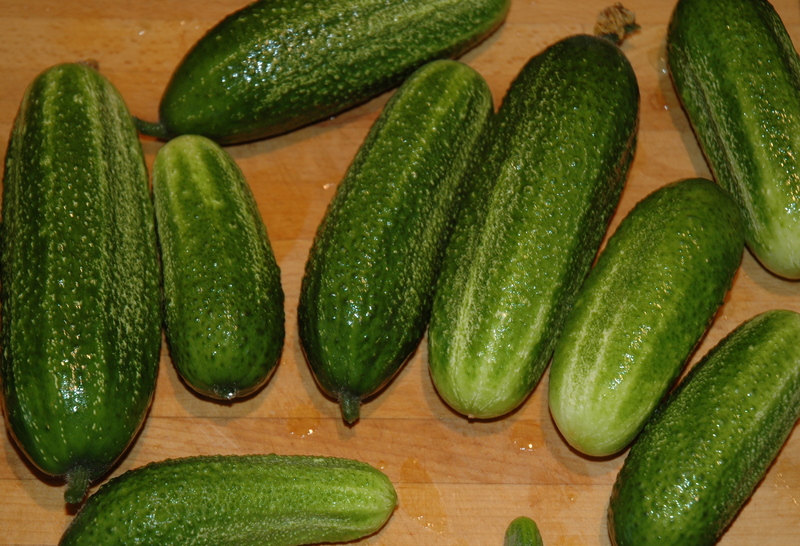 You may remember my post in May about Growing Gherkins. Well they certainly grew well. I kept the plant in the greenhouse all summer. It was planted in a terracotta pot on the floor. It grew up to the roof and all the way down the greenhouse, and then some. The overall harvest of gherkins was truly impressive, so we now have around 20 large jars of pickled gherkins of varying sizes. We have also used a variety of pickling methods, vinegars and spices, so hopefully we will be able to choose a favourite. These are brilliant, Love these ghirkins! Hi.where can I buy gherkins like this in uk? Are you looking for seeds or plants?